This convenient pocket-sized self-inking stamp is perfect to be used on loyalty cards, rewarding customers for their repeated purchases. Choose from one of our existing templates or simply upload your own to create the stamp impression that is perfect for your type of business. 5 ink colours are available: black, blue, red, green and violet. 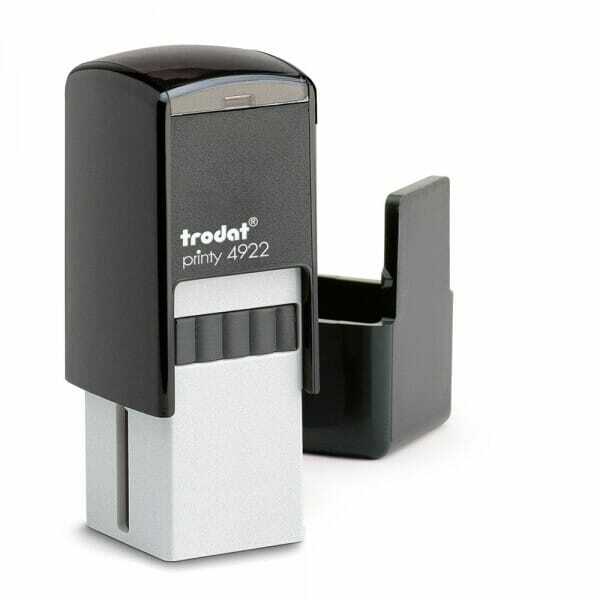 To further extend the life of your stamp, simply order the suitable replacement ink pad, product no. 6/4922. Dry felt pads are suitable for special inks. Customer evaluation for "Loyalty Card Stamp - Trodat Printy 4922 (20 x 20 mm)"